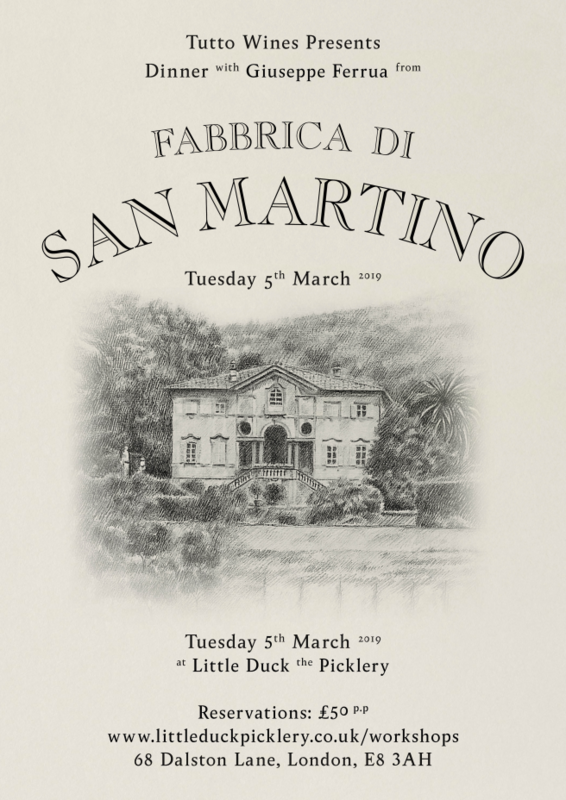 On Tuesday 5th of March we welcome Beppe Ferrua of Fabbrica di San Martino to London for a very special dinner at Little Duck. As well as being a talented farmer and winemaker, Beppe is also a great cook and the dinners he hosts in his old villa in the hills outside Lucca have become the thing of legend. We can’t wait to welcome him back to London to cook for you all. On the night Beppe will be preparing the four course menu below, featuring products from his farm alongside the best of British produce.